Offering you a complete choice of products which include laser extensometer, microprocessor trainer kit, core drilling rigs and cooled incubators. This is for determining the Laser Extensometer of 15cm dia x 30 cm high cement concrete cylinders while testing them under compression. Specification : The unit consists of two movable frames pivoted at one end. The extensometer is fixed to the specimen with the help of tightening screws. The lateral extension is indicated on a dial gauge of 0.002mm x 5mm is mounted on the upper ring and the tip of the dial gauge rests on an anvil. The zero on the dial gauge can be set by adjusting the anvil screw. Supplied in a wooden carrying case. We are recognized as one of the profound manufacturers and exporters of Microprocessor Trainer Kit . Manufactured using top most quality of raw materials, this trainer kit is available in the market at cost effective prices. This trainer kit is immensely used by the engineers to develop hardware and software for industrial process. Our range of trainer kit is exported to many foreign countries like Tanzania and Middle East. The Microprocessor & Micro Controller Trainer Kit is widely known for its remarkable features such as durability and standard quality. 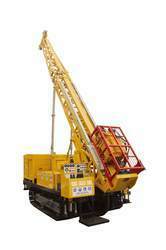 We are engaged in bringing forth the finest quality Core Drilling Rig to our esteemed clients. This drilling rig is hugely utilized in diverse industries for drilling oil wells, natural gas extraction wells and drill water wells. Developed and designed with high precision, this machine features tough construction, hassle-free & consistent performance, corrosion resistance and longer operational lifespan. Apart from this, our designed Core Drilling Rig can be availed from us at competitive prices within requested time limits. If rapid and precise alternation between heating up and cooling down times in ramp operation is required, cooled incubators with compressor cooling prove to be in peak form – yet still work extraordinarily quiet. Due to the finely adjusted control technology, temperatures exactly reach the set point values without energy-intensive bursts of power. Cooling and heating units are situated outside the working chamber inside the air jacket temperature control system surrounding the entire chamber interior ensuring quick and precise temperature control. The motor-driven forced air circulation, adjustable in 10 % steps via the ensures optimum temperature distribution. The cooling unit works extremely energy-efficiently, as there is no continuous heating against cooling. An intelligent function enables defrosting as required.